Thanks to the Swachh Bharat campaign, the number of latrines in Kandigaon, Odisha increased from 46 to 253. Until, the grounds realities got in the way. 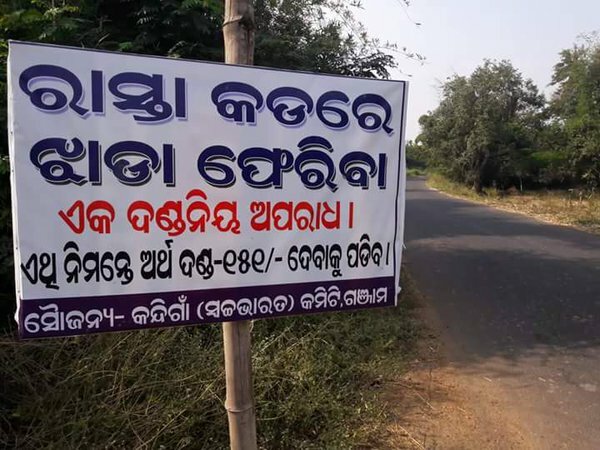 The Kandigaon village in Ganjam district, Odisha has been in the limelight recently thanks to a sustained campaign by some villagers over a year. During the period, the number of latrines in the village increased from 46 to 253 and nearly Rs.10,000 collected as penalties from persons defecating in the open. However, scratch the surface and what emerges is a more complex picture that is in tune with the realities of rural India, and which has elements of vigilantism, caste divides and simple lack of basics such as water that renders futile the very building of so many toilets. While a part of the objective has been achieved, the upper castes and the scheduled castes in the village are yet to overcome the age-old animosities that keep them apart. During summer, when the wells and ponds dry up, the communities still line up in separate queues to fetch water from the two tube-wells in the village. He, however, admitted that the communities form separate queues for fetching water, a stark reminder that the divisions are pretty much ingrained in the minds of people and may take quite a while to stamp out. Add to that the reality that there’s water scarcity in the village. As a result, even though toilets have been built in many households — thanks to the funding by the Village Committee — the facilities seem to be of no use. “Though we managed to achieve the open defecation-free tag, it is difficult for us to get water for toilet use. There are two-three open wells and tube wells. In the summer, we face acute water scarcity,” Rabindra Nayak, Village Committee President. He said the district administration had been urged several times to facilitate piped water supply, but in vain. Ironically, Ganjam district is represented by four ministers, including Chief Minister Naveen Patnaik. Yet, despite these odds, the villagers are striving to keep their village clean and adopt hygienic practices. The prime movers behind this initiative were five young men who were inspired by the Swachh Bharat Abhiyan that was launched by Prime Minister Modi. “The movement started last year. Initially, we did not get support from fellow villagers. They started mocking us. But we continued to sensitize them about the ill-effects of open-defecation,” said Manmath Pal, one of the youths who spearheaded the movement. He said they first stopped open defecation on the approach roads. “A squad was formed to keep strict vigil in public spaces, especially on approach roads, from 4 am to 6 am and from 7 pm to 9 pm. We took this decision after finding two sides of the approach roads filled with human faeces that created a bad impression,” said Pal. The village formed a Swachh Bharat Committee and adopted a resolution saying relieving in the open would be a punishable offence. “We impose a fine of Rs 151 for defying the order of village committee for the first time. The second time, it is Rs 500, and for the third time Rs 1,000. It is Rs 5,000 for the fourth time. We have collected over Rs 10,000 as penalty so far from the villagers,” said Village Committee President Nayak. No one violated the rule for the third time fearing heavy penalty, he said. “The village committee even collects fines from outsiders. Whenever they find an outsider who violates the rule, the villagers come to me and ask to intervene in collecting the penalty,” said Ramachandra Sethi, the Sarpanch of Kanheipur panchayat under which the village falls. Over a period, the Village Committee also provided Rs 10 lakh to 100 households to construct toilets. “Several people from the village are below the poverty line and they don’t have money to construct toilets. So we provided money to them to build toilets,” said Kailash Pal, the committee’s secretary. During this period, the number of latrines in the village increased from 46 to 260. The initiative has brought cheer to the women in the village. “Even though my husband had built a toilet after I got married, I used to see other women going to the fields to relieve themselves in the night. That was embarrassing for us, and also a security concern,” said Bishnubala Swain, a self-help group member. The efforts by UNICEF, which is working on sanitation in the area, also motivated the villagers. “We sensitized the villagers how open-defecation affects the health of a man or woman. We continued to motivate them to have access to toilets. UNICEF provided support to help the village cover the last mile towards becoming open defecation-free,” said Johnson Rhenius Jeyaseelan of UNICEF. In association with Woodland, UNICEF also supported the creation of group hand-washing stations in the village. School children have been sensitised on key hygienic behaviours. Even the school walls are painted with messages about cleanliness. Is Mo Cycle a Sustainable Urban Transport?